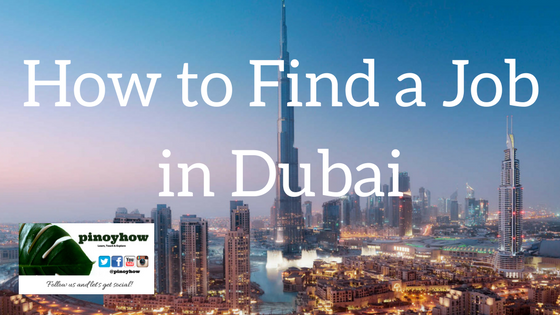 Going abroad and finally packing bags, we have to choose carefully what to bring, here are some pointers for travelling to Dubai. Filipino food and stuff are readily available in the city. I put that first, because some of us are very particular with our own food and things, I know I am. 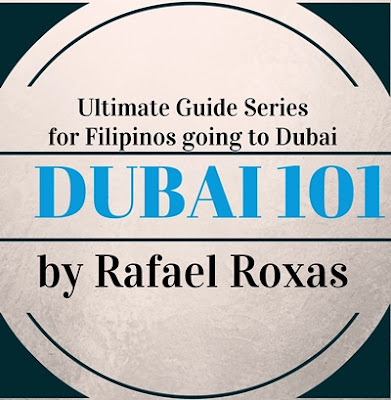 So don't worry, delicacies, specialties and what not (tuyo, tinapa, daing, balut and more) it's all here in Dubai. In terms of medication - if you are on maintenance, ensure to bring the prescription, especially when you bought it in the Philippines. Rather than this, I can't think of anything that will make a huge difference in terms of stuff from the Philippines. 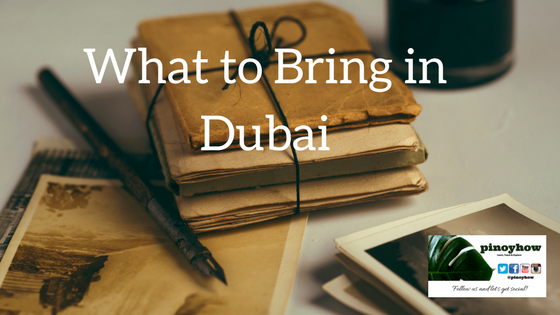 With few clothes and important documents, anyone will survive in Dubai. It's more significant to be aware of WHAT NOT TO BRING. By all means, avoid bringing banned items into the country. The UAE government prohibits drugs, narcotics and chemicals and before you enter the UAE, you are advised to take all precaution to ensure that you do not carry such substances; either in person, your luggage or in medicines you may be carrying. Strict penalties include imprisonment followed by deportation. 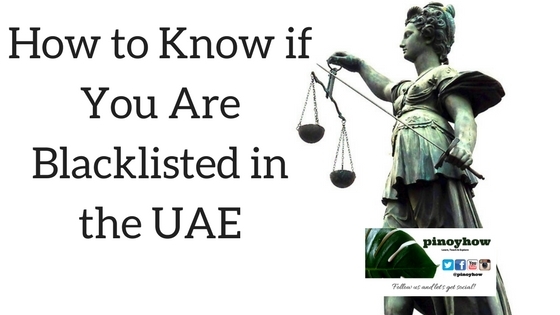 Other banned items include pornographic material, non Islamic religious pamphlets for missionary activities, fireworks, ivory, weapons & ammunition, chemical and organic fertilizers, laser pens, radar jammers/other unauthorized communication devices, endangered animal species, and any objects, sculptures, paintings, books or magazines which do not adhere to the religious and moral values of the UAE. Adults coming in through Dubai Airport are permitted to purchase cigarettes and alcohol (only non-Muslims), as per Dubai Customs laws. As per UAE regulations, inbound and outbound travelers also need to declare any cash in excess of AED 100,000. Do ensure that your medicine does not contain a banned or restricted substance. If your medicine contains any banned or restricted substance, it is advisable not to carry them on your flight/travel into the UAE. However, if for medical or emergency reasons, you need to carry any medicines, please ensure that you have a medical prescription from a UAE-licensed doctor, or if treatment was undertaken abroad, you must carry both a doctor’s prescription as well as a detailed medical report, both of which should be suitable attested. You are not permitted to bring more than three month's supply of medicine, as per guidelines of Ministry of Health. Besides the narcotics listed, all other recreational drugs including cocaine, heroin, cannabis and opiates and its derivatives are banned. Be careful of carrying in poppy seeds which are banned, so avoid accidentally carrying bakery products that might contain such seeds. 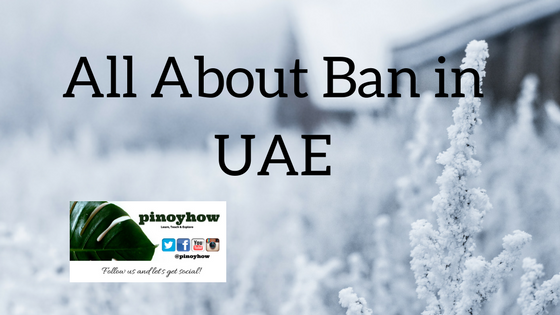 Also banned is qat leaf, betel leaf or nuts, niswar, gutkha, which while admissible in some countries is not permitted in the UAE. Do also keep in mind that on your flight out from any UAE airport, you need to comply with new regulations regarding liquids in your hand luggage, which should be contained within a transparent re-sealable plastic bag of not more than 1 litre capacity. Medicines and baby foods can be carried in your checked in luggage, but if you need medicines during your flight, you can place in your hand luggage, provided you have documentary evidence to prove that it is your medication.